Website Builder Australia (WBA) is a premiere web development organization known in Australia for providing professional web designs and related services. 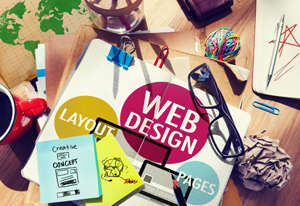 We developed our own ways of designing, combining the power of creativity with the latest web technologies. In accordance with Google’s latest SEO ranking requirements in 2015, we ensure our latest sites are fully ‘responsive’, optimized for viewing on both PCs and smartphones which helps your website rank higher. We have also successfully created a plethora of websites for our respected clientele for a variety of industries. Our services does not only depend simply on creating a unique design, but the process goes on until a robust web portal with engaging and relevant content, along with superior programming is achieved. Website Builder Australia (WBA) is seasoned with team of highly professional web designers and developers who have been handpicked and trained for offering optimum customized responsive websites for your businesses. So what are you waiting for? Send us a message with your requirements via the contact form or email support@websitebuilderaustralia.com.au and one of our customer service professionals will reply to you with you within 24hrs with a quote for your job.